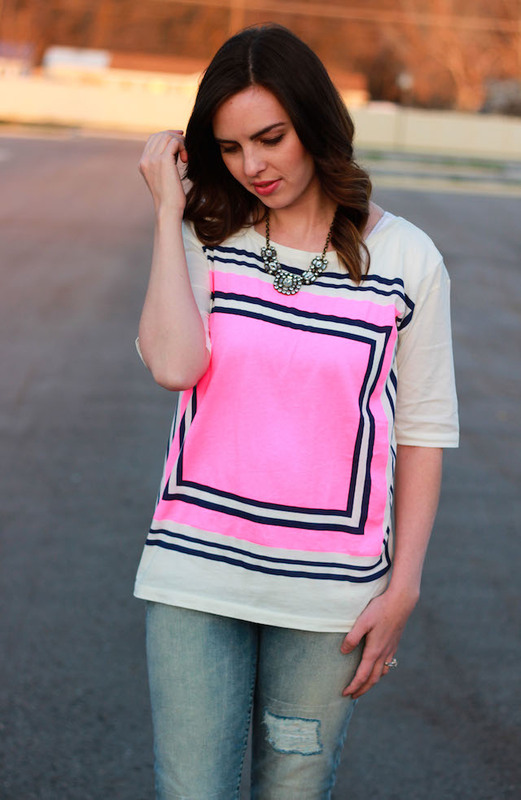 Springtime (aka t-shirt weather) is my favorite for getting dressed. 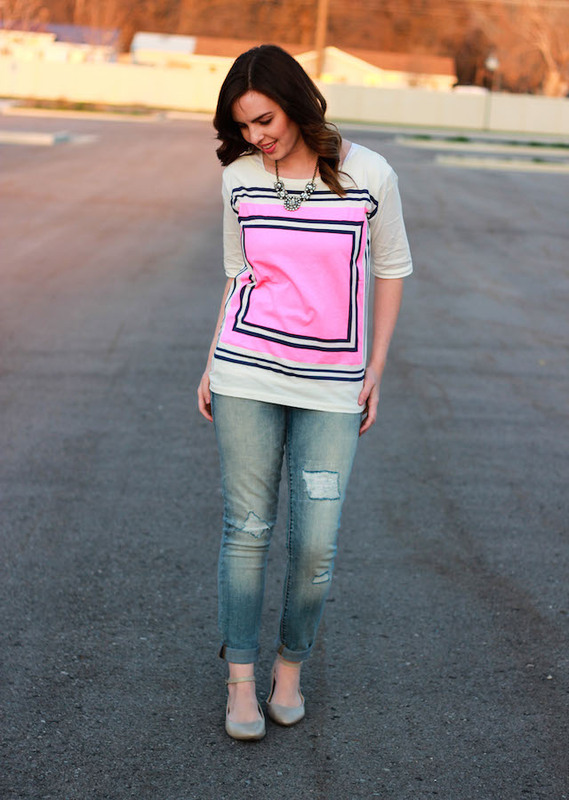 What's easier than throwing on a tee, some jeans, and flats or sandals? 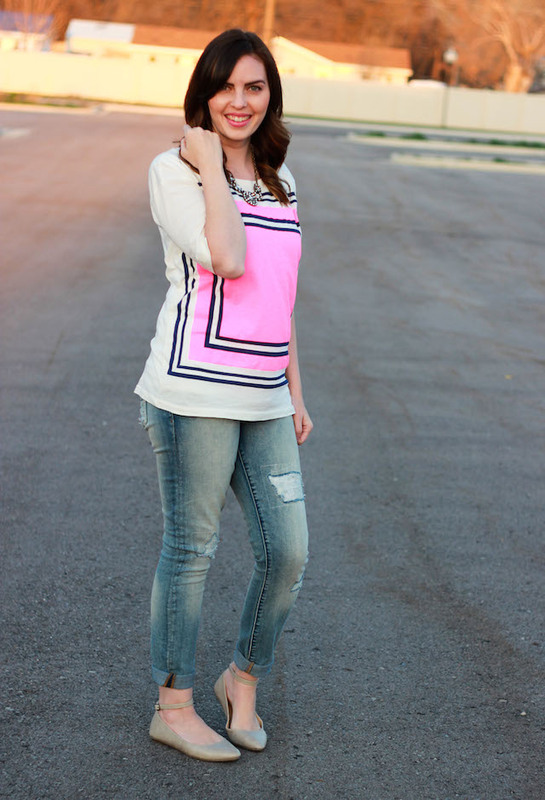 It's really perfect weather for easy, casual style. 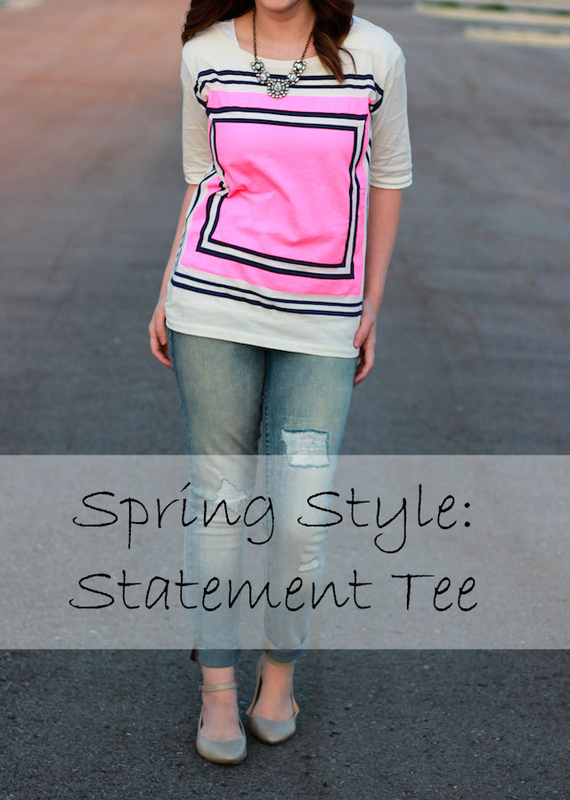 A statement tee can be soooo great for this time of year, because you don't have to add too many accessories to have a fun outfit! The tee speaks for itself. Hope you're all having a fun week so far! thats def a statement! and i love it! 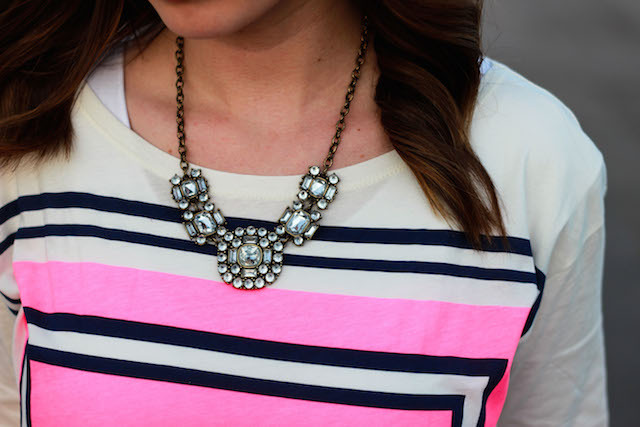 I love the pattern and neon color on the top! Too cute! I like the pink!! And the square. 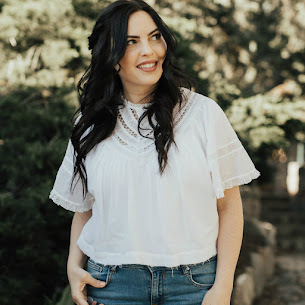 Jcrew is awesome! Love this time of year in Utah too. It's the best! Very cute! 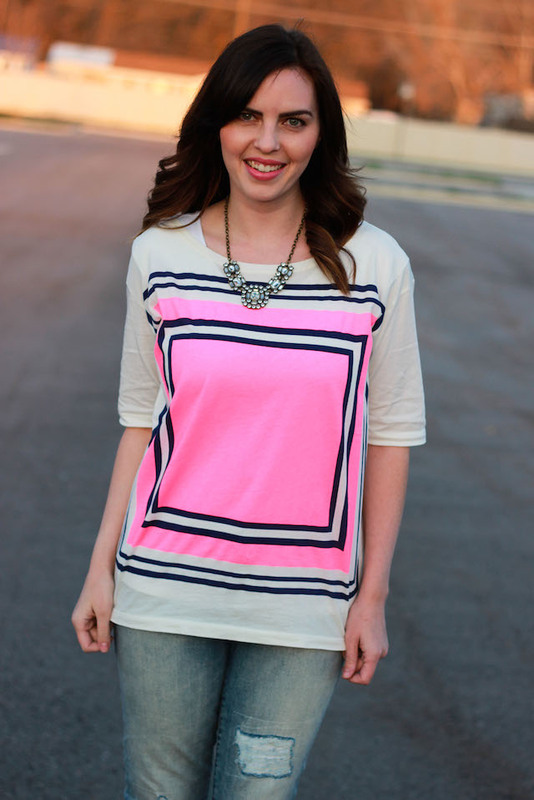 What a fun tee and it looks great the way you styled it!